“Chicken Breakfast” 2014! | ¡VidaMaz! 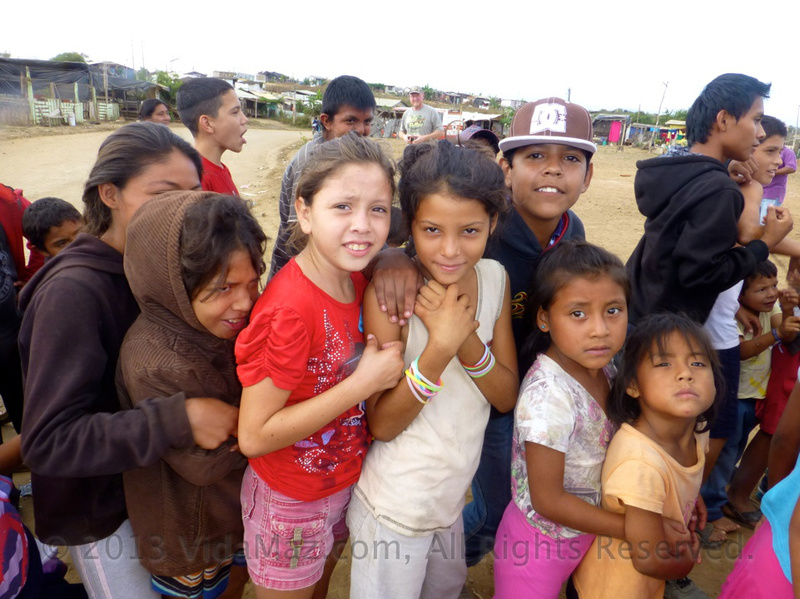 Last year we fed 2300 families, in Mazatlán’s poorest colonias: La Felicidad, Ampliación Felipe Angeles, Universo, Quinta Chapalita, Nuevo Milenio, Jardines del Valle, Villa Tutuli, Nuevo Cajeme, Montebello, Francisco I. Madero, Ladrillera, El Basurón, El Conchi 2, and the Ex-Hacienda de Urias. It’s a Christmas tradition dating back to 1990, spearheaded by our friend Yolanda Medina. 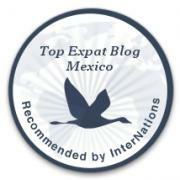 It is the absolute BEST way we’ve found to celebrate the holiday here in Mazatlán. We are so grateful for this annual opportunity—locals and expats coming together, working shoulder to shoulder, to reach out and bring a smile to those less fortunate. I’ve met so many wonderful people through Desayuno de los Pollos, and have witnessed such strength of spirit. 2014 will be our eighth year participating. You can view photos of last year’s event here. How did this whole effort start? And why in the world is it called “chicken breakfast” or desayuno de los pollos? The handing out of whole chickens, 10 days’ worth of food, plus clothes, toys and candy, to inhabitants of Mazatlán’s poorest communities. This event takes place each December 24th. A fundraiser breakfast (not chicken! Usually eggs, chilaquiles, beans, breads, juice, coffee), held to raise money to buy the food. This event takes place each year in early December or late November. Read the full story of the Chicken Breakfast here. Would you like to join in this incredible effort? There are so many ways you can help! Attend the fundraiser breakfast on the Saturday the 29th of November starting at 8:30 am (serving till 10:00 or so), at the cruise ship port (API on Agenda Emilio Barragán). Tickets are 150 pesos per person and include a full, home-cooked breakfast, a holiday bazaar of handicrafts and baked goods, a silent as well as a live auction, and a whole lot of socializing and fun. You can buy tickets by contacting me, Dianne Hofner Saphiere, or one of the many other people around town who sell them (Yolanda, Jorge and Isa Medina; Jeanette Leraand, Barbara Narvesian, Lana Reid…). If you can’t attend the breakfast, you can still make a donation. 100% of what you donate will go directly to helping, as everyone involved is volunteer. You can browse photos of last year’s breakfast here. Help us gather great things for the live and silent auctions! Each year Jorge Medina makes at least one wrought-iron table for auction. We often have artwork, and many gift certificates to hotels, restaurants and shops around town. Last year we had an original artwork by Armando Nava, and a 2-night all-inclusive stay at El Cid Marina in the silent auction. You can view just a few of last year’s great prizes here. Many thanks to everyone who donates to support this cause! If you know a business that would like to participate, you can download blank gift certificates here. Once you fill it out, be sure to get it to me, Isa or one of the other key people so we can put it into the silent auction. Thank you! Be a cook! Cut vegetables the night before the breakfast (November 28th), or be one of the cooks on the morning of the 29th! We’ve had several of our cooks move away, so we are in need. It’s a great way to learn to make some Mexican staples, and to meet some new local friends. Help set up and clean up the breakfast (setting out plastic chairs and tables the night of the 28th, and stacking them up after the breakfast on the 29th). My husband Greg is still gimpy, so we will be short-handed this year and could use your help. Help pack food into smaller packets (e.g., bulk rice and beans into baggies), during the week prior to December 24th. A group gathers at the Medina family home in Quince Letras nearly every evening. Gather gently used or new toys and candy, to hand out to the children on the 24th. Last year we had so few toys, the sadness on the kids’ faces just broke my heart. Gather your gently used clothing, shoes, blankets, and jackets to hand out on the 24th. Please get these to us ahead of time, so we can sort things in preparation for the big day. Bring your truck or large vehicle on the 24th, to help us transport the frozen chickens, foodstuffs, and all the Santa-hatted people out to our poorer colonias. Again, please let us know ahead of time, so we can plan. Thank you! Join us on the 24th, to be in one of the six or seven caravans of cars and trucks that go to the poor outskirts of the city to hand out food and goodies! Directions can be found here. Donate any amount that moves you. We are all volunteers, so 100% of what you gift goes to help those who need it. Just click on the button on the upper right side of this VidaMaz blog. It is a terrific event, and we very much look forward to joining in with those who participate in this annual tradition, as well as welcoming those who are new to it! If you have children or grandchildren with you, it’s especially important to teach them to reach out in this way, and to let them see how simply other people live. We look forward to having you join us. Awesome, Denise. Thank you! Will b in touch.